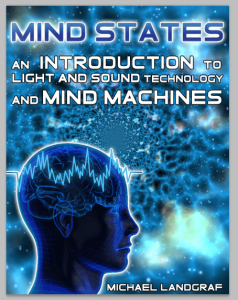 The mindLightz light and sound system by MindGear, Inc., is the first to employ Bluetooth wireless technology for delivering pulsed frequency brainwave stimulation. The mindLightz software is a free app available in iTunes that features easy to navigate selections including 83 built-in light and sound programs, manual control mode for designing your own personal light and sound programs and Colormatrix light frames with over 500 different blends and shades of colors. The bluetooth mindLightz is wireless light and sound that operates via Bluetooth Colormatrix lightframes (offering over 500 different shades of color), and can be paired with the following smart devices: iPhone 4S, iPad3, iPod5 or any newer iPhone/iPad running iOS 6.1+. This Bluetooth mindLightz Colormatrix lightframes selection is for those of you who already own Bluetooth headphones or simply want to use your existing smart device headphones. If you would like to purchase Mindgear’s Bluetooth headphones along with Bluetooth Colormatrix lightframes (the complete mindLightz light and sound system) click here. With either selection (“lightframes only” or “both lightframes and headphones”) you will also receive free priority shipping to the entire United States.